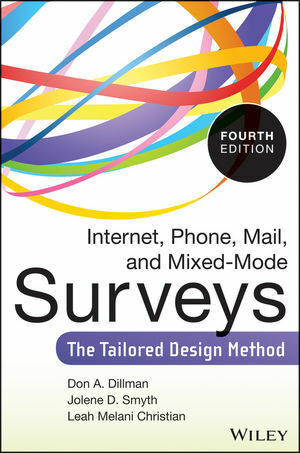 The question of surveys came up the other day. Again. After getting a copy of Dillman for your desk, This is what I suggest: Start with what you want to know. This may be in the form of statements or questions. If the result is complicated, see if you can simplify it by breaking it into more than one statement or question. Recently, I got a “what we want to know” in the form of complicated research questions. I’m not sure that the resulting survey questions answered the research questions because of the complexity. (I’ll have to look at the research questions and the survey questions side by side to see.) Multiple simple statements/questions are easier to match to your survey questions, easier to see if you have survey questions that answer what you want to know. Remember: if you will not use the answer (data), don’t ask the question. Less can actually be more, in this case, and just because it would be interesting to know doesn’t mean the data will answer your “what you want to know” question. Evaluation use is related to stated intention to change about which I’ve previously written. If your statements/questions of what you want to know will lead you to using the evaluation findings, then stating the question in such a way as to promote use will foster use, i.e., intention to change. Don’t do the evaluation for the sake of doing an evaluation. If you want to improve the program, evaluate. If you want to know about the program’s value, merit, and worth, evaluate. Then use. One way to make sure that you will follow-through is to frame your initial statements/questions in a way that will facilitate use. Ask simply. So how does rationality fit into evaluation. I would contend that it doesn’t. Although the intent of evaluation is to be objective, none of us can be because of what I called personal and situational bias; what is known in the literature as cognitive bias. I contend that if one has cognitive bias (and everyone does) then that prevents us from being rational, try as we might. Our emotions get in the way. House’s comment (above) seems fitting to evaluation–evaluators must persist against personal emotions as well as emotions of others. I would add persists against personal and situational bias. I believe it is important to make explicit the personal and situational bias prior to commencing an evaluation. By clarifying assumptions that occur with the stakeholders and the evaluator, surprises are minimized, and the evaluation may be more useful to program people. I’ve talked about intention to change and how stating that intention out loud and to others makes a difference. This piece of advice is showing up in some unexpected places and here. If you state your goal, there is a higher likelihood that you will be successful. That makes sense. If you confess publicly (or even to a priest), you are more likely to do the penance/make a change. What I find interesting is that this is so evaluation. What difference did the intervention make? How does that difference relate to the merit, worth, value of the program? Lent started March 5. That is 40 days of discipline–giving up or taking on. That is a program. What difference will it make? Can you go 40 days without chocolate? I got my last comment in November, 2013. I miss comments. Sure most of them were check out this other web site. Still there were some substantive comments and I’ve read those and archived them. My IT person doesn’t know what was the impetus for this sudden stop. Perhaps Google changed its search engine optimization code and my key words are no longer in the top. So I don’t know if what I write is meaningful; is worthwhile; or is resonating with you the reader in any way. I have been blogging now for over four years…this is no easy task. Comments and/or questions would be helpful, give me some direction. Chris Lysy cartoons in his blog. This week he blogged about logic models. He only included logic models that are drawn with boxes. What if the logic model is circular? How would it be different? Can it still lead to outcomes? Non-linear thinkers/cultures would say so. How would you draw it? Given that mind mapping may also be a model, how do they relate? Have a nice weekend. 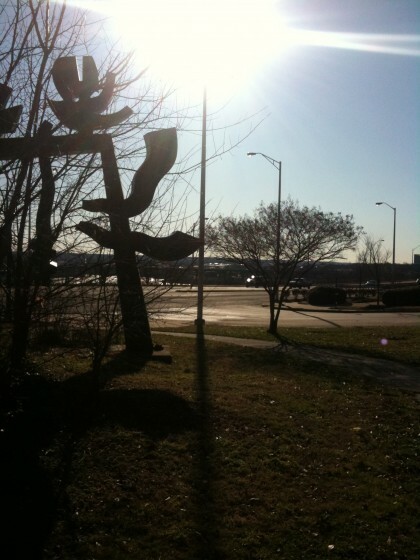 The sun is shining again! I’ve been reading about models lately; models that have been developed, models that are being used today, models that may be used tomorrow. Webster (Seventh New Collegiate) Dictionary has almost two inches about models–I think my favorite definition is the fifth one: an example for imitation or emulation. It seems to be most relevant to evaluation. What do evaluators do if not imitate or emulate others? The reading is interesting because it is flexible. It approaches the “if it works, use it” paradigm; the one I use regularly. I’ll just list the models Popham uses and discuss them over the next several weeks. (FYI-both Popham and Fitzpatrick, et. al., talk about the overlap of models.) Why is a discussion of models important, you may ask? I’ll quote Stufflebeam: “The study of alternative evaluation approaches is important for professionalizing program evaluation and for its scientific advancement and operation” (2001, p. 9). Fitzpatrick, J. L., Sanders, J. R., & Worthen, B. R. (2011). 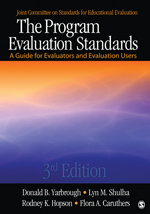 Program evaluation: Alternative approaches and practical guidelines (4th ed.). Boston, MA: Pearson. Popham, W. J. (1993). 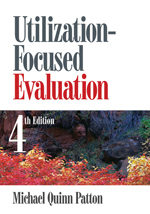 Educational Evaluation (3rd ed.). Boston, MA: Allyn and Bacon. Stufflebeam, D. L. (2001). Evaluation models. New Directions for Evaluation (89). San Francisco, CA: Jossey-Bass.